Wall graphics are an ideal way to decorate the walls of your business with a customizable and versatile product. They can transform bland walls into opportunities to broadcast a particular logo or brand. Wall Graphics can differ in size and purpose. Full Sail Graphics & Marketing has printed graphics as small as a little decal and as large as entire two-story walls. They can be used in businesses for branding, advertising, or merchandising. They can also be ideal for decorating commercial settings, hotel lobbies, or apartment buildings. 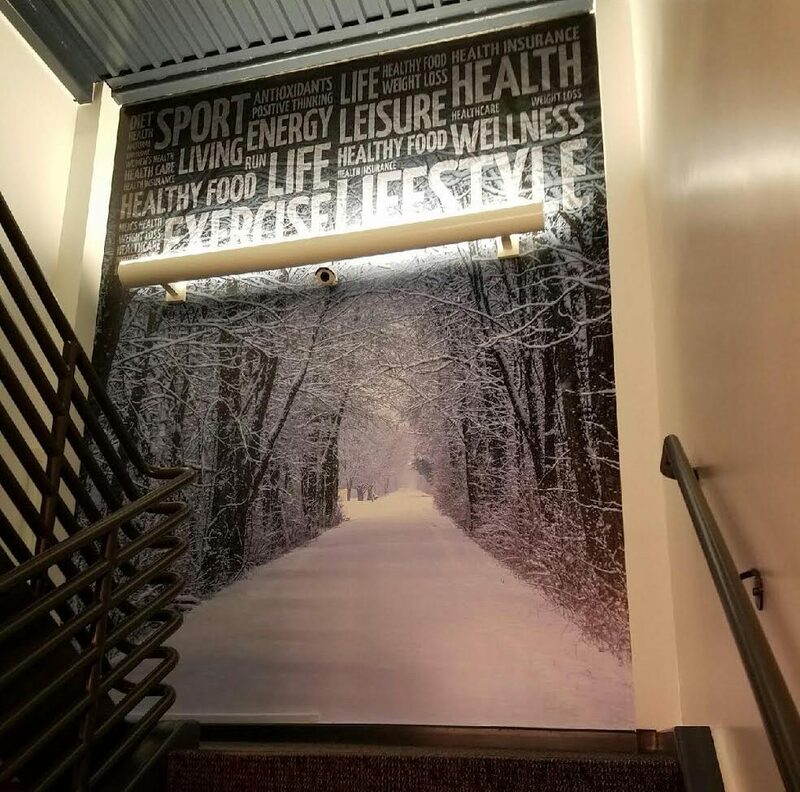 Wall graphics are quicker to install, more cost effective, and easier to replace than hand painting or traditional wall paper. This means that they can be used for broadcasting a particular promotion for a few months or decorating an office wall for several years. Wall graphics can be removed without the adhesives damaging the surface or paint underneath. Experienced technicians can even apply wall graphics to flat walls or textured walls like brick or stucco. This means that wall graphics can work with for any size/type of wall, for any myriad of purposes, and for any duration of time. The possibilities and applications for wall graphics are endless! Wall graphics are not all created equally. Full Sail Graphics & Marketing uses 3M and Avery products because they come with a reputation of consistency and quality. Off brand vinyl definitely saves money in material cost. However, you run the risk of a product that does not adhere well, last long, or come off cleanly. The type of vinyl and lamination used can vary based on if it is primarily for indoor or outdoor use, smooth or textured walls, the duration that the wall graphics are intended to last, etc. With over 50 years of combined experience in graphics and marketing, the Full Sail Graphics team is confident that we will deliver quality graphics on time and on budget. If you’re looking to improve your work place, please feel free to give us a call at (714) 451-8428 or visit our website at //fullsailgraphics.com .